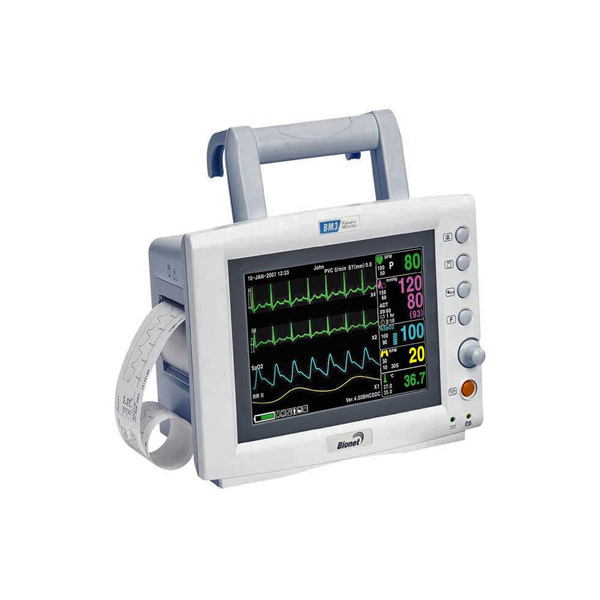 M.Y Medical offers patient monitors that are high-end and reliable vital signs monitors. It is widely used in hospitals and clinics to monitor vital signs of a patient. Our monitor size is 5.7” with high resolution for better output performance. It is compatible with Nellcor reusable sensor. It also uses disposable SpO2 sensor. The monitor can be plugged in Direct 9V DC input (cigar jark) in case it needs to be moved from one place to another. It has RS-232 PC interface. Contact us for more details on our Patient/Vital Signs Monitors.